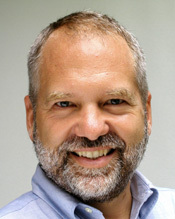 As of October 2011, Chris Owens is no longer part of Interisle Consulting Group. If you're looking to engage Interisle or to discuss work in Interisle's area of business, please contact one of the other Interisle principals. After 15 years as a consultant, including 10 years as a founding partner of Interisle, my reflections on the passage of time and on my own sense of purpose compel me to move on. Consulting has given me the chance to lead and contribute to fascinating projects, to meet and work with wonderful people, and to see some of my clients' important visions become reality. Not insignificantly, it has also fed my family. But my roots, my academic background, my core expertise, and my deepest sense of mission lie in the fields of computation, human cognition, and artificial intelligence; specifically in using those disciplines to increase human capability. To me, that means creating tools, technologies, and methods that improve people's access to information. It means finding new ways to capture and share expertise. And it means creating models and simulations that help people understand complex natural, man-made, and societal systems. I have begun working exclusively on projects in those areas; much of that work does not fit naturally within the context of project-based consulting.